WHAT SYSTEM SUITS YOU BEST? Offset the power you use at home with power from the sun. We design the solar power system just for your situation, and explain the options so you can make an informed decision. Join the solar battery revolution. Powerwall means you can store energy in the day, and use it at night. Makes solar greener and cheaper than ever. Solar panels on a larger scale for offices, schools and factories. If you need your solar power system to make financial sense, we can design that system for you usage. Save big from connecting your home to the grid. Solar panels and batteries and inverters all working to keep you entirely self sufficient from power companies. Superior Solar have been installing solar power systems for almost 20 years. We ruthlessly choose the absolute best suppliers and best products on the market. Many solar companies have been going bust because they decided to cut costs by manufacturing and installing inferior systems. Since the beginning, we have been committed to quality above all else and this is primarily why we have been so successful. Our products come with a 25 year warranty from our suppliers, who are well established and trusted. Now that’s a guarantee. Our solar power systems consistently rate better than our competitors’ quotes when viewed in the medium term. It only takes 2 years before the better performance of our panels have surprised the extra initial outlay compared with a cheaper solar system. And in the long term, ours solar power systems last nearly twice as long. So you save more and more year after year. We have installed over 4000 solar power systems on the Central Coast. Our customers save more than $1200/yr* on average off their electricity bills. 25,000* tons of CO2 abated /yr equivalent to over 10,000 cars off the road. You can contribute and start benefiting today. Collectively we can make a difference. Great, I love making my own electricity. Feels like I’m contributing in some way. Convinced I made the right decision. Great team as I had expected. We Offer The Best Local Service Around. Our headquarters is right by the M1, so travel to Sydney, Newcastle, Hunter Valley, Central Coast and Lake Macquarie is effortless. Because of this we don’t charge for travel. Solar power system installation is calculated on the genuine time on site by our enthusiastic and efficient team. Our goal is to be the highest quality solar power installers on the Central Coast. 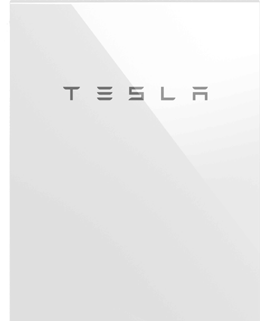 We use the highest quality LG panels – the world’s best – as well as providing cutting edge technology in the form of Tesla’s Powerwall. Our commitment to quality saves you time, money and hassle over the lifespan of your solar power system.